I created something for the Creative Estates gang to keep all those business cards together and our new friends contact information all in one place. I have also included the .pdf files so you can print them out and make your own to bring with you. I printed the cover on regular paper, signed my name on the back cover and laminated both. The inside lined cards I printed on shiny heavy stock to go in-between the cards for additional notes you might need to jot down. Sometimes our cards are printed on both sides and there is no room for notes. 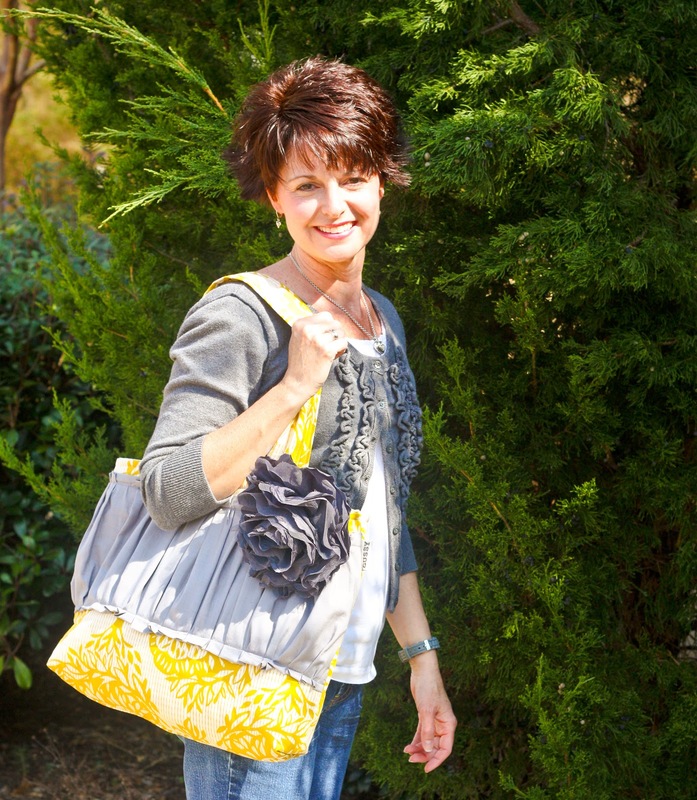 You can use the ball chain or a loose binder ring to keep everything together. I also added the round tags to divide sections on your chain/ring of cards. I punched holes in the cards and slid them on the chain which can be shortened if needed. Now everything will be together and no misplacing your new friends card!! Just bring your hole punch on the trip to punch the cards to add your holder while at the conference. 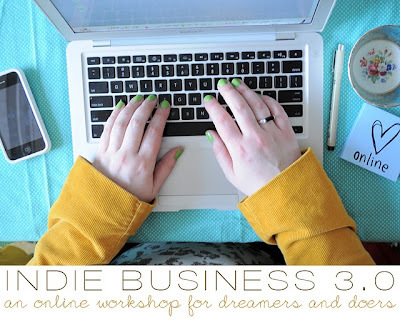 I have signed up for a great Indie Business 3.0 class which is being taught by three amazing women Leigh-Ann Keffer, Jill Munro and Lisa Leonard. Class Starts tomorrow but we have already had our first assignment to put our binder together for class. Here's what my binder looks like. Indie Business is an interactive and inspiring 6 week Online Class for women and men wanting to build an online or local creative business. We'll focus on Starting, Surviving and Succeeding in small business and cover everything in between! Indie Business 3.0 is taught by Leigh-Ann Keffer, Jill Munro and Lisa Leonard and is hosted in a members only blog with 27 thought provoking sessions, 7 creative business related diy projects and 3 interactive live Q&A sessions to give you all the tools you need to establish yourself and achieve success with your Small Business! This course also includes an Indie 3.0 printable workbook developed specifically to record your thoughts, ideas and progress throughout the 6 week course and beyond. Access to a student lounge is included so participants can share, network with and learn from fellow classmates! 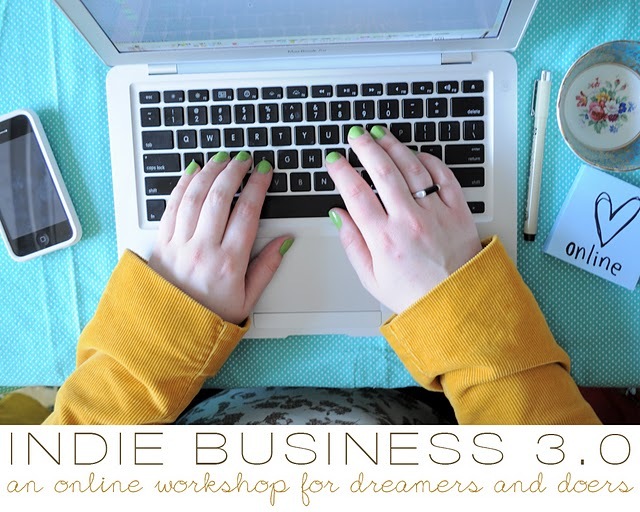 Indie Business 3.0 includes improved course content from past courses, including valuable lessons & projects by 3.0 featured teacher, Lisa Leonard! 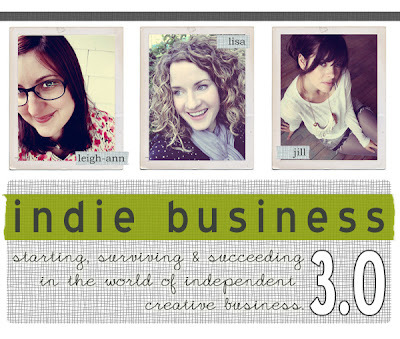 Indie Business 3.0 is sure to inspire and fire you up to make 2011 count for your small business! My Gussy tote arrived last week and I immediately transferred my loot from the old to the new. I have had so many compliments on it. I only have two business cards left to pass out because I've passed them out and even to a few strangers. So if your selling handmade things include a few extra cards because someone is surly gonna ask, "Where did you get that?" I also added the giant gray flower which I think makes it super cute. Thanks for the Ruffles!! I thought this might be a fun blog post. A couple years ago I was contacted via a listing I had in my Etsy Shop. Garth asked if I would be interested in submitting my Ticket Bowl that I had listed into the 100 creative ideas for reuse book he was publishing. I said yes and filled out the necessary forms, canceled my listing and submitted my photos. Many many many months later, I along with many other crafters were notified the book was available via Amazon. Who would have thought a simple ticket bowl, but I'm there on page 210! 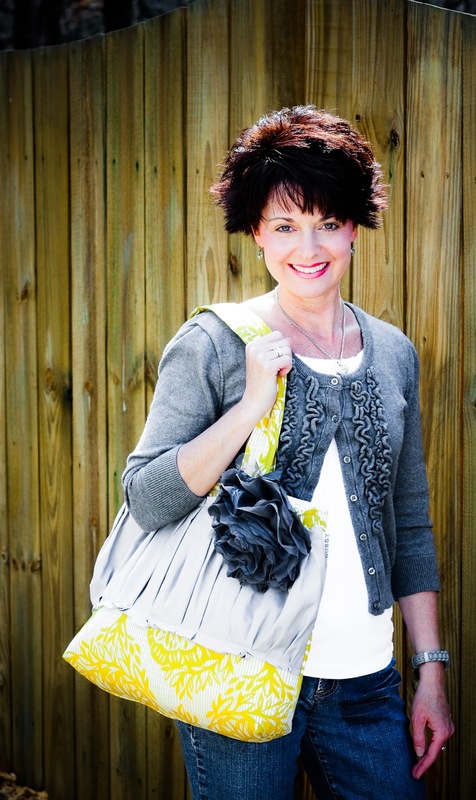 I'm thrilled to introduce you to Lauren Bird and her great blog The Elephants Trunk. Lauren and I met on twitter and here we are sponsoring each others blogs and shops. Lauren has a great The Girl Behind the Trunk page on her blog but I'm going to highlight some of her favs here!! And how about these! 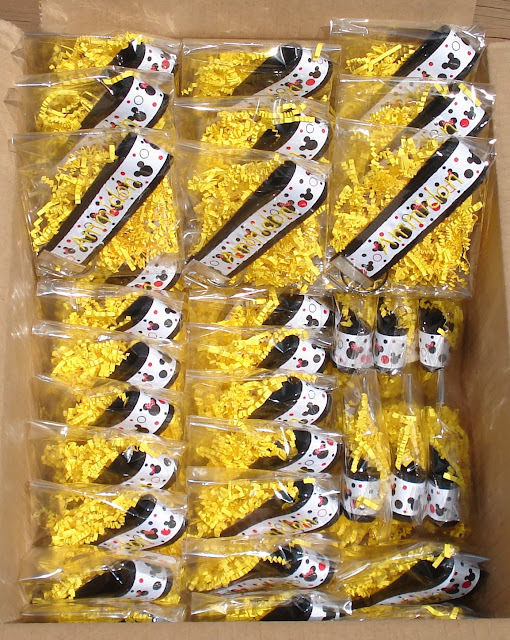 I just love these wine corks - what a great hostess gift!! Thanks Lauren for sponsoring my blog! I look forward to meeting you at @creativeestates in person. WELCOME!! To the new Hoot Designs. We, you my followers, and I, have had a makeover and I hope you like the new look. I have not posted to much while awaiting the new look. So back in the saddle as they say, and now, I'll me posting some fun things for you in the upcoming weeks and beyond. 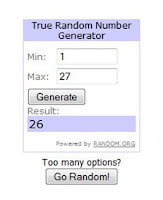 In celebration I'm hosting a giveaway! 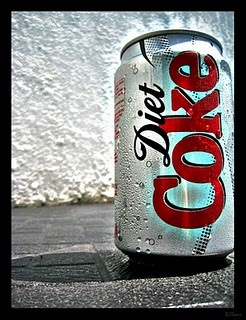 One for you and maybe for your favorite gal pal, as my daughter, Shea, calls my friend Katharine. You will be able to choose the ribbon of your choice and what you want embroidered on each! And better yet, for each jump in followers in increments of 20, I will add another Key Chain. So please share with your friends and post on your FB wall and tweet! 1. 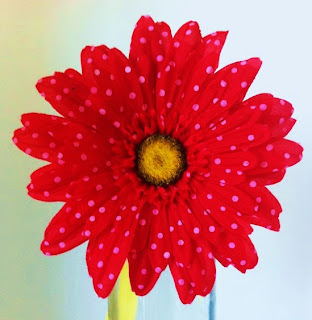 Follow via Google Friend Connect and post a comment that you did. 2. 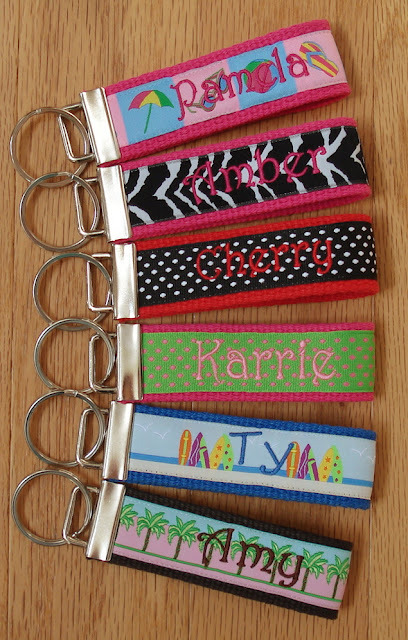 Leave a comment on who you plan on giving your second key chain to and why they should receive it and leave a comment. 3. Tweet about the giveaway with a link to this post and leave a comment. The more friends you tell the better your chances as the follower numbers increase!! I have a flier with all the ribbon choices and will send that via email to the winner(s) so they can choose the perfect ribbon!! 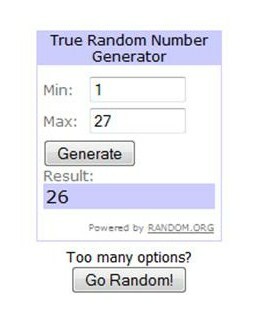 I will choose the winner(s) via Random.org on Wed. Feb 16th. 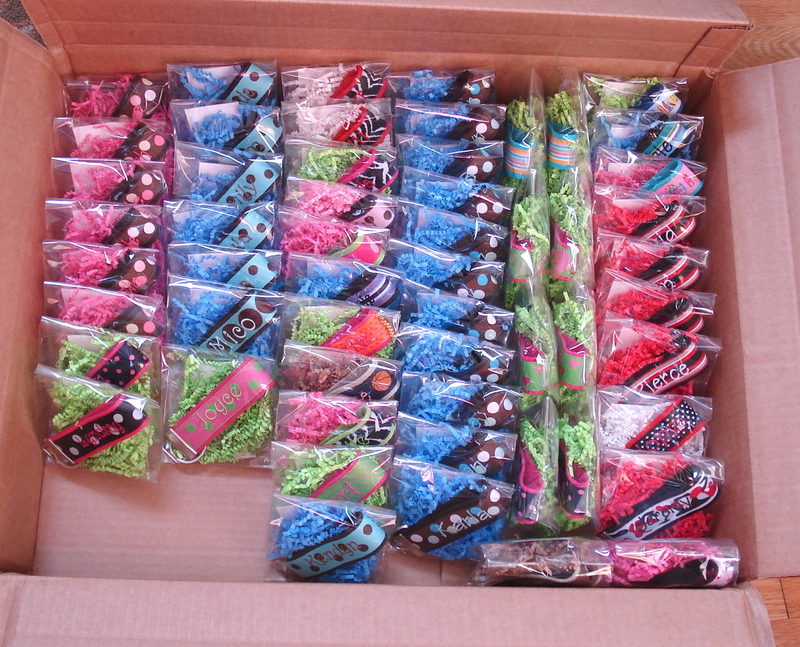 Packaged and ready to ship - yours will look just like this too!! Susan G Komen fundraiser delivery! I did about 120 for one walker for her 3-day walk. Blogging is............shall we say AMAZING! I have had a personal blog Hoot Designs (new look coming this week) for a little while and just started with my Hoot Photography blog. 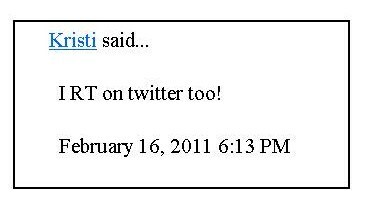 Along with my goal to start blogging, I also started tweeting (@chrissy217) and I have met so many people in such a short time. I met Tara (@Taramadeit) on Twitter and she tweeted something about her shop and I clicked the link and visited, and immediately fell in love with her things and the fibers she used. I also remembered that I had a Ziploc bag full of some of the very fibers she is using. So I sent her a message and asked if she would like them. And off they went to a new home to be made into something great by Tara. Then a few days later Tara listed the her new iPad case. She tweeted "new listing" and I again clicked the link, then promptly purchased the beautiful iPad case below. And Tara also included a cute Cup Cozy too that matches the iPad case. We would have never met if not for twitter and I may or may not have found her great shop and beautiful things. The detail is amazing. Please visit her shop at The Big Cartel or her shop on Etsy, I know you will find something just right for you. In the first photo, that's Tara with her Etsy page showing on my iPad! !